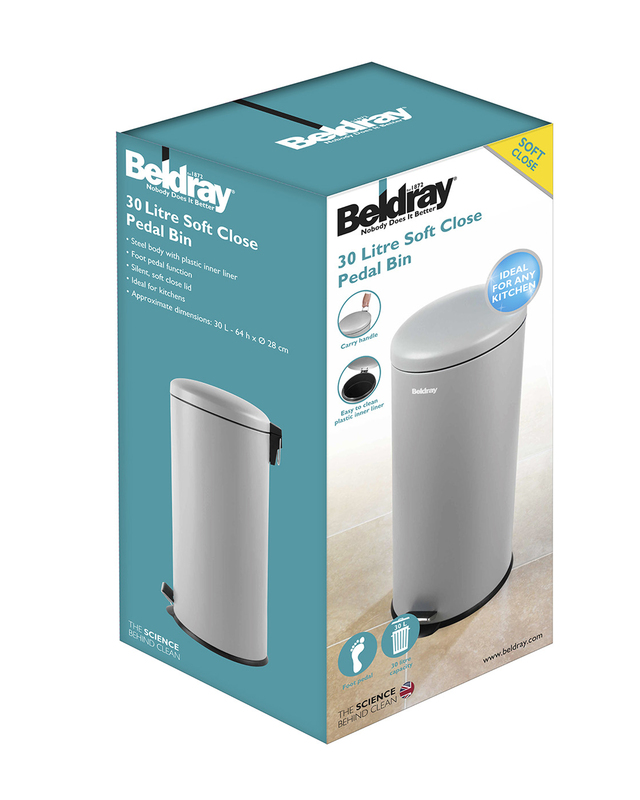 For complete convenience look no further than this Beldray kitchen bin to keep your home wonderfully tidy. Ergonomically designed, the bin features a step pedal so you can open the lid even when your hands are full, plus it is much more hygienic. 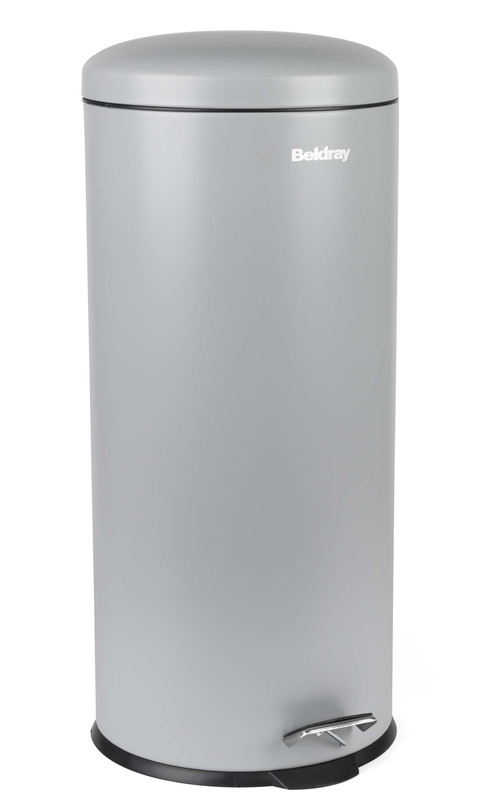 An essential item for any busy kitchen, the bin has a fantastic 30 litre capacity and a soft close lid for ease of use every day. Made with very durable stainless steel, its sleek grey finish looks very stylish and will match any setting or decor. This Beldray kitchen bin ensures effortless clean up every day, with a matte grey carbon steel coating which will suit any kitchen.